Located on Pham Hung Street, right next to the Vietnam National Convention, the Museum of Hanoi is an important structure in celebration of the Millennial Anniversary of Hanoi. Special structure, large hail and valuable objectsare expected to give visitors unforgettable moments. 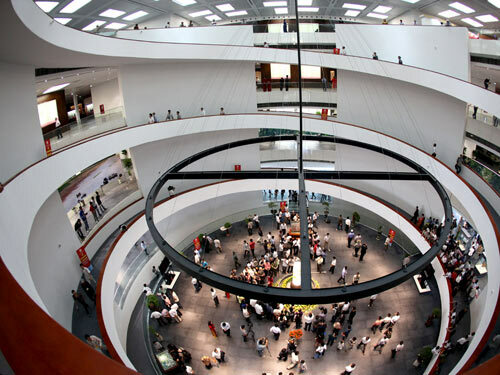 The remaining exhibition hail of this museum 54.000 sq m in area will be officially opened in 2015 to make the museum a venue of Hanoi culture. We hold cultural programs and folk gamesof the Northern plain at the weekends to serve the public. The Museum of Hanoi is built in a diamond shape that becomes larger and larger on top showing the hope that the city will enjoy ever bigger growth. Higher floors also help prevent the sun from reaching the exhibition halls on lower floors. As you can see, this spiral path makes it easier for physically disabled people to explore the museum. Some even think that the spiral path is the reminder of Co Loa citadel or the river surrounding Hanoi. 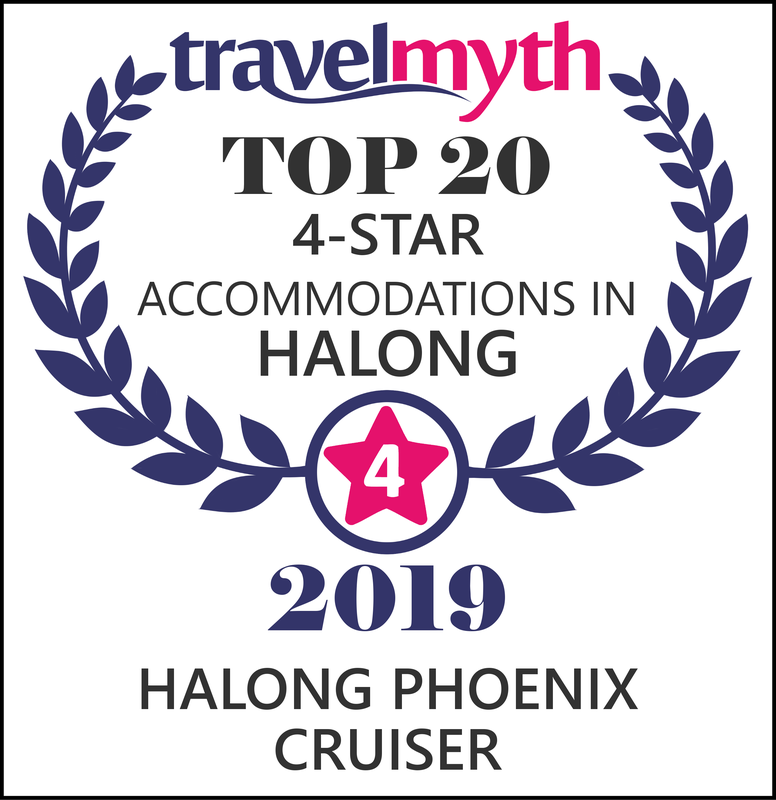 Others say that it’s like on ascending dragon – the origin of Thang Long, the former name of Hanoi. This is the letter sent to the future generation from the Hanoi authorities on behalf of Vietnamese people nationwide and it will be opened in 21/10. The large manually embroidered painting in Vietnam is on display on the second floor.It weighs 1675kg and measures 3m x 4m. Entitled “Millennia wish of Thong Long”, the pointing has images of pure lotus blossoms and elegant architecture of pagodas. It contains the enthusiasm and creativity of 9 artisanswho won the ‘golden hand’ titleand nearly 3.000 embroiderersfrom XQ Vietnam.The excellent artwork was completed after 1.000 tireless working days. Walking around the second floor, visitors get to know about the tectonic structure and resources of Hanoi via samples of soil and stone placed in gloss boxes.There are many other objects that tell us the story about the nature of Hanoi here. Only when tourists come herecan they have a closer look at these exhibits. This is the skeleton of a turtle from Sword Lake. Two turtle individuals from Sword Lake died. One is kept here and the other at Ngoc Son Temple. This skeleton was brought here in 1991and it’s the most interesting thing that children love to see in this museum.The Holy Turtle in Sword Lake is closely relatedto the spiritual life of the Vietnamese. That’s the soul of the lake and o familiar image to all Vietnamese people. Hanoians come to Sword Lake, hoping to see the Turtleand this has become a cultural feature of the capital. There’s a miniature forest over there. When visiting a museum, we see not only antiques but also a green and lively space that kids will definitely love to explore. They will get to know more about rare animals in Vietnam this selection is especially designed for kids. The exhibition section on the third floor has the biggest number of objects with Nguyen Dinh Su’s antique collection Vu Tan’s antique collection, the antiques of the museum itselfand antiques given to the museum as gifts. 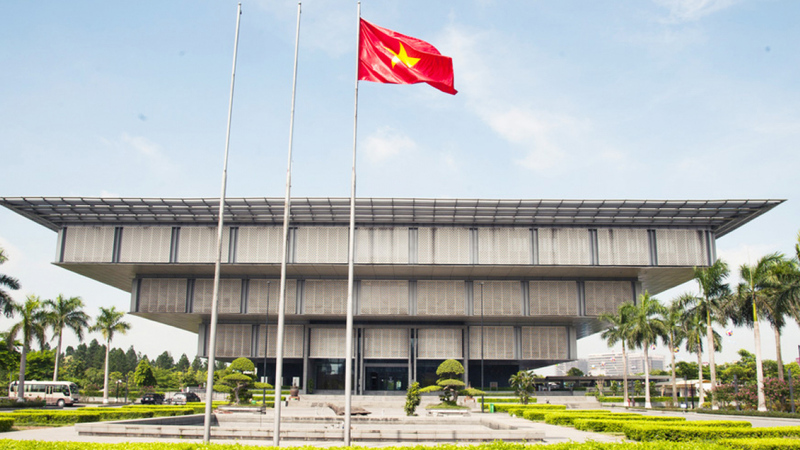 The Museum of Hanoi hopes to contribute to raising the awareness and knowledge of public and urges them to protect and promote the national identity. Images of the good old days of Hanoi can be foundon the fourth floor. Wooden, bronze and foreign items are all here. My visit with nice stones from the docent once againaffirms that the museum has a lot of cultural and historical valuesfor Vietnamese people arid foreigners to explore. Coming here, they hove on opportunity to learn about the 1000-year history of Thang Long – Hanoi. 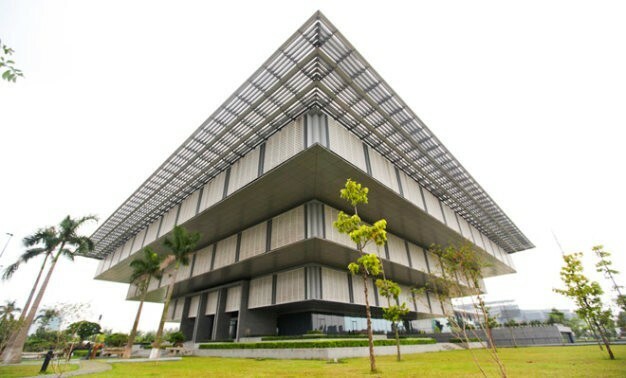 The Museum of Hanoi is not only a special artworkbut also one of the top modern architectures in Vietnam. 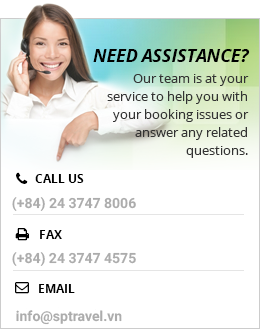 When you have chance to travel to Vietnam and have Hanoi city tour, we can organize s visit for you at this site. Sure that Hanoi Museum is a part of your nice Vietnam tour.